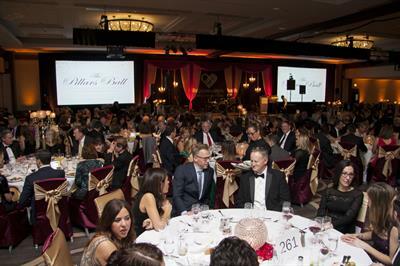 Pillars Community Health will hold its annual Ball on January 19, 2019 at the Oak Brook Hills Hilton Resort in Oak Brook. The Ball offers a way for community members to support and learn more about the organization’s services, while also enjoying an unforgettable evening of live music, dancing, raffles, and casino-style gaming. Judy Hsu, anchor of the 4 pm and 6 pm newscasts at ABC7 Chicago, will emcee the evening’s program. Tickets and details are available at www.PillarsCommunityHealth.org. Pillars Community Health serves more than 10,000 people each year in the western and southwestern suburbs by providing primary Medical and Dental Care, Mental Health and Addictions Services, Domestic and Sexual Violence Services, and Early Childhood Education. The nonprofit organization is the result of a January 2018 merger between Pillars and Community Nurse Health Center, two longstanding nonprofits that can trace their combined history back to 1921 in the Chicago suburbs. Pillars Community Health has two sites in Berwyn, on Windsor and Stanley Avenues. To learn more about Pillars Community Health, visitwww.PillarsCommunityHealth.org or call 708-PILLARS (708-745-5277).